Can you spot Forté’s new feathered friend? Christchurch’s newest private hospital is bringing a Kiwi icon and cheeky feathered friend to life to help put young patients at ease. 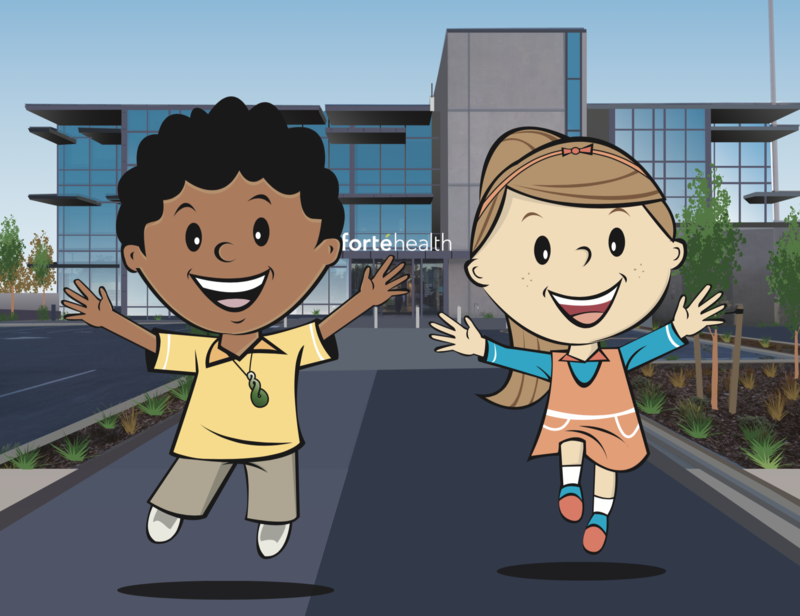 ‘Ra and Poppy’s Visit to Forté Health’ helps children understand what to expect when they are coming to hospital by explaining the hospital journey in a fun and playful way. The book has been introduced to boost the experience of the hospital’s youngest patients, after analysis showed that 15 to 20 per cent of Forté Health’s admissions were children. Forte Health wanted to better support its young patients and their families as they navigate through the hospital environment. Coming to hospital can be scary for anybody – regardless of their age. There was a real need to make the experience a comfortable and familiar one and the Forte team think the Kea Kaha creation is something pretty special that will put smiles on little faces. The Kea is a cheeky mountain bird native to NZ found in the South Island. The Forte team decided to name their native friend Kea Kaha as a play on words after the Christchurch earthquakes and to encompass Te Reo into the concept. Kaha, in Te Reo, means strong and courageous, and it was a theme Forte felt would be empowering and useful when interacting with young patients. The Kea’s cheeky nature could be drawn on when interacting with children and used within diversional therapies. As part of the Kea Kaha concept a pre-admission booklet called ‘Ra Goes to Hospital’ has been created to describe the hospital journey. In the booklet Kea Kaha outlines what to expect on this journey, how children can prepare for surgery, what to bring, and how Mum and Dad can support their child. “Awesome” Kea Kaha stickers are given to children for positive encouragement, and bravery certificates have been created for children on discharge. Download the booklet from our Patient Information page. It’s hoped these images help familiarise children with their new environment and provide a welcome distraction, to make their hospital experience as comfortable as possible.